If you’ve flown anywhere over the past few years, then chances are, you’re seen or been imaged by those TSA-endorsed full body scanners. The machines have kicked up quite a storm among passengers and privacy advocates, who compare the much-too explicit x-ray systems to invasive virtual strip searches. Well, score one for the opposition: The U.S. Transportation Security Administration has agreed to pull overly revealing airport scanners. Back in 2010, the TSA directed supplier OSI Systems Inc. (OSIS) to rewrite its software to produce more generic, less revealing images. But the company’s Rapiscan unit says the software revision has bugs that trigger false alarms. The company is confident it can fix the glitches and deliver the code by 2014, but that’s too late to meet the congressional deadline. End result? The agency is canceling its $5 million contract with OSIS and yanking the Rapiscan machines. Last year, 76 installations were pulled from major U.S. airport hubs, and now 174 more are set to follow suit, at the company’s cost. Instead, the TSA will use more machines from another supplier, L3, which did manage to successfully revise its software to include privacy-protection features. These units are not only less invasive, but they are also twice as fast and don’t use X-rays. Unlike the Rapiscans, which use backscatter technology (low-dose X-rays) to detect hidden objects, the L-3 machines use millimeter waves (radio waves), to find metallic and non-metallic items. In addition to L-3, the agency has also contracted deals with other vendors. But that doesn’t mean the Rapiscans will go to waste. 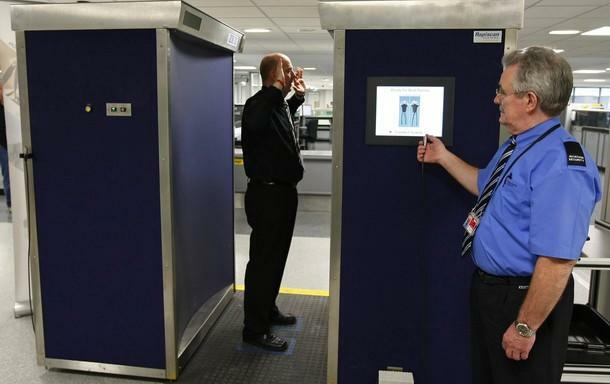 OSIS supplies body scanners to other clients with high-security requirements — like prisons, the Pentagon and American military forces in the Middle East — and the TSA is checking to see if other government agencies can use the machines. 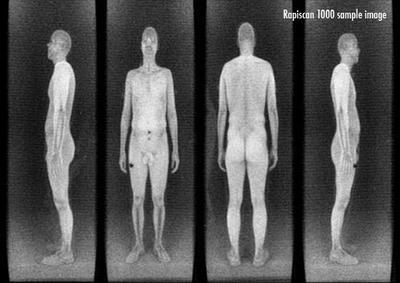 As many as 130 million passengers were subject to the Rapiscan scanners — including children and the elderly — since the agency rushed to integrate the machines in 2010. The move was a response to an incident in 2009, when Umar Farouk Abdulmutallab attempted to explode a Northwest Airlines flight with a bomb hidden in his underwear.